Cancer can wait: Diane Bell checks in with Batton Lash who recently suffered a brain tumor but convinced his doctor to waive his chemotherapy treatment this month for Comic-Con. Heartbreaker: When a major character is dying, Pete Woods reflects on how he approached illustrating Archie #22. He credited Mark Waid for crafting the heart-wrenching scenes while Woods worked on expressions and use of colour. Hometown Hero: Donny Cates signed an exclusive contract with Marvel and is the new writer of Doctor Strange – starring Loki. The Garland, Texas native’s success was celebrated as a local boy making it big in an in-depth interview with Dallas News. Shhh..! Download more quietly: Hoopla digital media services have signed a distribution deal with Titan Comics, Lion Forge, and Fantagraphics to distribute their titles for public library use. Girl Power: Is DC Superhero Girls the future of comics? Hollywood Reporter examines the success of the multimedia DC Superhero Girls brand which is a leader in gender parity in the toy industry. Featuring interviews with writer Shea Fontana, editor Marie Javins, and DC Senior VP sales John Cunningham. ‘Splain-nation: A frustrated Jessica Plummer is fed up of having the notorious ‘direct market’ explained to her whenever a beloved title is canceled. In this editorial, Plummer suggests that many readers do not know about titles until they are republished as a trade paperback and that the direct market is a broken system that needs fixing. 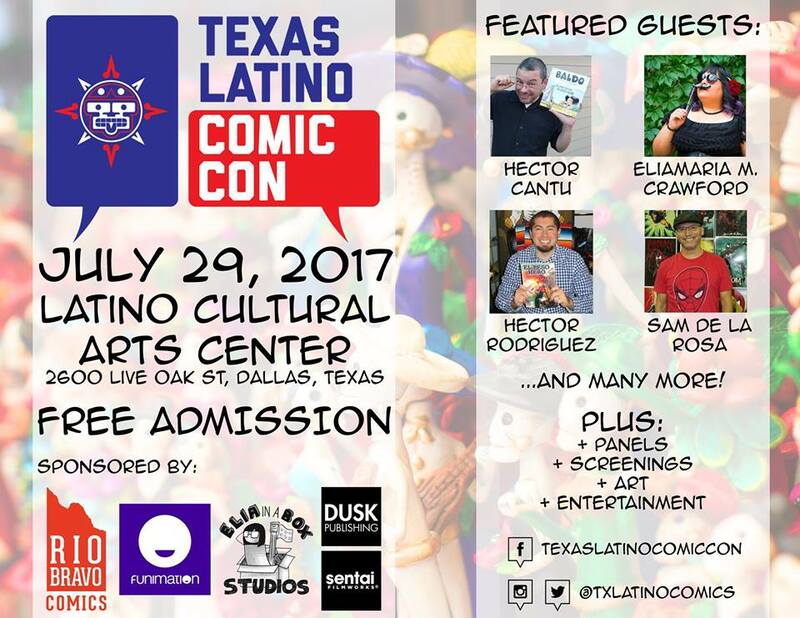 Spotlight on Latino creators: The first annual Texas Latino Comic Con will be held on July 29 in Dallas. Hector Rodriguez, creator of El Peso Hero, and other creators will be attending this one-day convention. Admission is free to appeal to children and those who cannot afford larger cons. Can you still buy tickets for San Diego Comic-Con? Short answer: no. And be cautious of tickets being sold privately, as scalped tickets cannot guarantee you entry.